A platform that's two controls in one – Conversational and G-Code. A whole new way of programming, including built-in CAM software that allows you to create complex shapes geometry and tool path all in the same feature, as well as convert DXF files into part programs. Designed from the ground up to streamline programming while reducing operator errors, the Acu-Rite 3500i touchscreen control saves significant time and cuts waste on each and every set-up and production run. Milling jobs are now as simple as...touch...and GO! The Acu-Rite 3500i features a flexible touch screen layout that's driven by software designed from the ground up to give operators a versatile array of options. Graphical, one-touch function keys both simplify and accelerate programming and set-up tasks. The 3500i is two controls in one, Conversational and G-Code. Conversational is programmed in plain machinist language and uses a powerful set of canned cycles to aid in quick and easy to understand programming. G-Code is entered using the on-screen full keyboard or the G-Code help editor. Importing programs is fast and easy via networking and USB. The 3500i gives the operator control of tool life; a run time for each tool can be specified, and once the run time has been reached, the control will call the specified replacement tool. All this is controlled by the tool page. Acu-Rite 3500i Retrofi t Kits are available for both new and older models of the most common knee mills and bed mills. 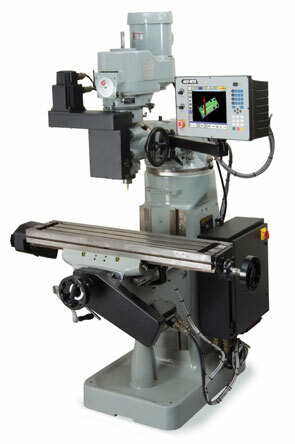 The Acu-Rite 3500i is ideal for retrofitting existing milling machines, elevating accuracy and expanding the types and complexity of jobs they can run. 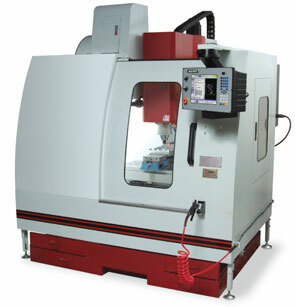 Kits for 3-axis and 4-axis systems are in-stock for most brands of knee mills and bed mills. Typical kits consist of servo motors, drive assemblies and the ball screw, plus the 3500i touch screen control. Quill drive assemblies are also available. Complete retrofit packages – as well as control-only kits, with standard analog drive interface – are available. Boost the productivity, accuracy and capabilities of your existing mills with the easy-to-learn, touch screen efficiency of the Acu-Rite 3500i. For builders of new machine tools, the innovative Acu-Rite 3500i control provides the perfect combination of versatility, reliability and break-through technology. Acu-Rite 3500i kits for new machines unleash the full power of the control's revolutionary touch screen interface. Now you can integrate robust, multi-axis systems that are simpler and easier to train operators on. They also provide your customers – machine shop owners and manufacturing customers – with faster upfront paybacks and more savings on total lifetime cost of ownership. Precision-ground ballscrews with preloaded ball nut assemblies. Finest, industrial grade processors ensure outstanding performance and operation in all areas of program management. Software limits are standard with every package. Machine limits are optional. Maintains smooth operation and precise positioning. Provides all manual operations. Ideal for set up and teach modes and for machining the simplest parts. A rugged one-piece machined casting guarantees years of reliable operation. Acu-Rite's high quality kit components finish the machine with both the appearance and performance of today's finest CNC equipment. Driven by a powerful AC brushless servo motor, this assembly features a tough and extremely durable one-piece machined casting. This robust one-piece casting incorporates Acu-Rite's unique and proven quill block drive design. This Z-axis downfeed assembly ensures accuracy, repeatability and can take real cuts for many years to come. The precision-ground ballscrew is driven by a powerful AC brushless servo motor. 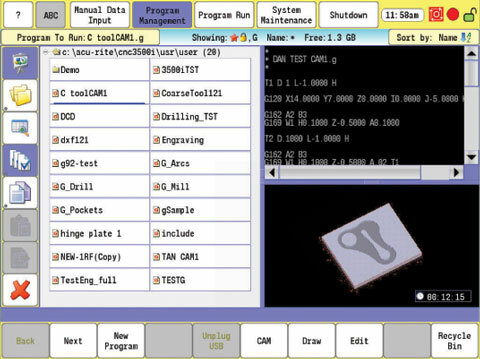 When using Acu-Rite's CAM programming tool, all part geometry is generated without the need for machine code. Shapes created are saved as DXF files. The DXF format provides two major advantages for the programmer. 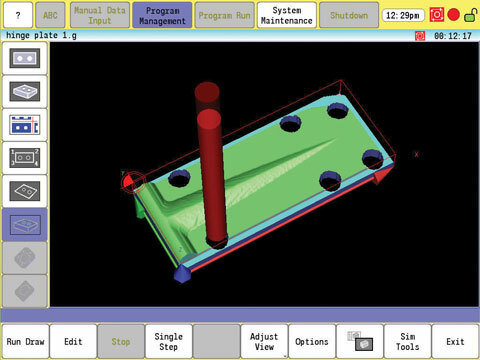 First, users can re-edit the geometry in their own CAD system. Second, DXF conversion is uniform across the board – for both imported DXF files and those created on the Acu-Rite 3500i. 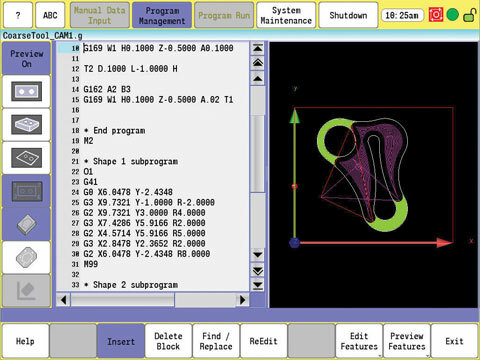 The Acu-Rite built-in CAM software allows you to create complex shapes, geometry and tool paths all in the same feature/screen, as well as convert DXF into part programs. Once the shape geometry is created (or imported), the Acu-Rite 3500i CAM allows the operator to generate tool path, islands, engraving and drilling cycles, as well as access many other advanced programming features. 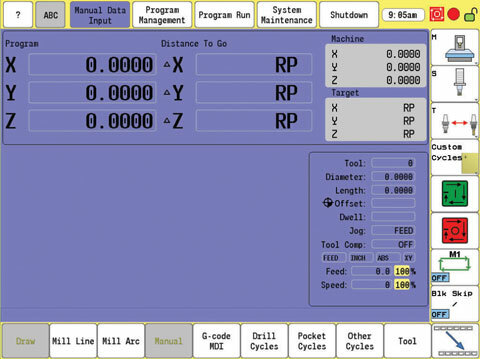 These programs are posted as complete, modular G-code programs from within CAM, featuring easy-to-understand menus in machinist language. And being modular, cycle-based programs (unlike typical CAM-generated programs), re-editing is much more intuitive and efficient with the Acu-Rite 3500i.